This article appeared in the Kamloops This Week on February 10th, 2012 and was written by Jeremy Deutsch. If you had eyes on the most exclusive address at Sun Peaks, but were just holding off to make that purchase, you would be out of luck. The most expensive home in the resort community was officially sold on Friday (Feb. 10) to a Canadian family for $3.4 million. The chalet, which was listed through Sotheby’s International Realty Canada, hit the market in December of 2010 for $4.3 million. Located on Douglas Court, the 4,500-square-foot full timber-frame home is the ultimate in winter luxury and comes fully furnished with a wine tasting and theatre room, an outdoor hot tub and a grand piano. Liz Forster, managing broker at Sotheby’s International Realty Canada, said the sale is a sign that Sun Peaks has come of age offering some of the finest resort properties in the world. She suggested the family could have bought property anywhere in the world. “They decided on Sun Peaks because this is where they want to be,” Forster said, adding the buyers have frequented the resort and love the mountain. She was unsure if the new owners would be moving to Sun Peaks permanently. In 2010, a home on Sundance Drive sold for $2.2 million, beating the previous most expensive house at $1.5 million. The $2.2 million home sold after being on the market for only two months. In the case of the latest sale, Forster said a year is a typical time frame for a recreation property given the current market conditions. It’s also another good news real estate story for a community on a roll. 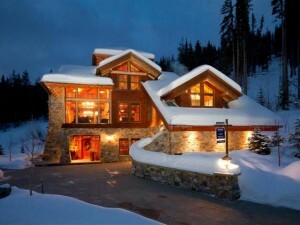 Last June, the Pacific National Exhibition bought two lots at the Lookout Ridge area in Sun Peaks. Though officials with the exhibition wouldn’t divulge exactly what the properties will be used for because of strict lottery rules, they are expected to be PNE prize homes in the coming years. Forster noted there is interest in a couple of other properties in the $3-million range at the resort, which could also be sold in the near future.